Canadians with disabilities and the people supporting them know that the cost of overcoming barriers can really add up over the years. That’s why the Canada Revenue Agency (CRA) administers credits and benefits for Canadians with disabilities and their caregivers. These can help lower costs over time, from childhood, through the school years, to the workforce, and to retirement. 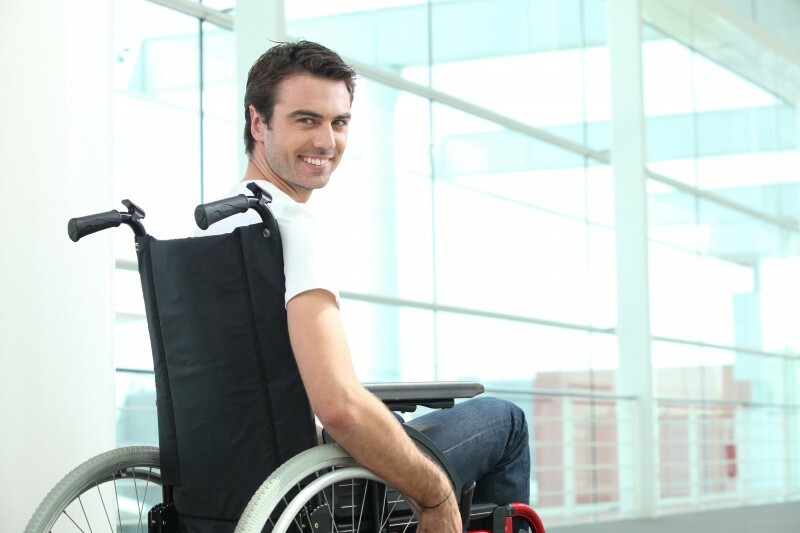 If you have a severe and prolonged impairment in physical or mental functions and you are eligible for the disability tax credit (DTC), you might be able to reduce the amount of tax you may have to pay each year. To apply for the DTC, fill out Part A of Form T2201, Disability Tax Credit Certificate, have a medical practitioner fill out and certify Part B, and send the form to the CRA for approval. You can ask the CRA to adjust your tax returns for all applicable years when you complete your form. Once you are eligible for the DTC, you may claim the disability amount on your income tax and benefit return. You may also be able to transfer any unused parts of the amount to a supporting person to reduce the federal tax that they may owe. Canadians claiming the DTC for the first time can file online even if they haven’t sent in Form T2201 for that tax year. Did you miss out on the DTC before because you didn’t realize you were eligible? No problem! Send the CRA a completed Form T1-ADJ, T1 Adjustment Request, or a signed letter giving details for any of the previous 10 years, and the CRA will make the change if you’re eligible. For more information, go to cra.gc.ca/dtc. You might decide to buy a home that already meets your needs instead of renovating. Most first-time owners may be able to claim the home buyers’ amount, an amount of $5,000 for buying a qualifying home in the year. However, if you are eligible for the DTC, you may be able to claim the home buyers’ amount even if you bought a home before. For more information, go to cra.gc.ca/hbtc. Do you take care of a child with a disability? If they are younger than 18 and eligible for the DTC, you may be able to lower the income tax you have to pay each year by claiming the disability amount for that dependant. If you get the Canada child benefit, you may also get the child disability benefit, a tax-free, monthly benefit for families caring for children under 18 who are eligible for the DTC. You can apply for child and family benefits by clicking on “Apply for child benefits” in My Account at cra.gc.ca/myaccount or by filling out and sending to the CRA Form RC66, Canada Child Benefits Application. To check the status of your application, or your next payment date and amount, you can use the MyCRA or the MyBenefits CRA mobile apps at cra.gc.ca/mobileapps. You might also be eligible for the family caregiver amount of up to $2,121 in 2016. For more information, go to cra.gc.ca/familycaregiver. Not to mention, if your child with a disability is registered for a physical activity or an artistic program, you might be able to claim an extra $500 on top of the regular amount for the children’s fitness tax credit and the children’s arts tax credit. The CRA is proud of making their services accessible for all Canadians. If you are blind or partially sighted, the CRA has publications and forms in other formats like braille, large print, etext, and MP3 audio. If you have a hearing or a speech impairment, you can use teletypewriter services by calling 1-800-665-0354. Or, the CRA can talk to you through an operator-assisted relay service or have a sign language interpreter available at meetings. Call 1-800-959-8281 for more information. Low-income, working individuals and families with a working income of over $3,000 may get more tax relief with the working income tax benefit (WITB). If you are eligible for both the WITB and the DTC, you might also be eligible for the WITB disability supplement. For more information on the WITB and the disability supplement, including determining eligibility, go to cra.gc.ca/witb. A registered disability savings plan (RDSP) helps take financial strain off people eligible for the DTC and their loved ones by introducing long-term financial planning. An RDSP helps parents and others give up to $200,000 over the lifetime of a person eligible for the DTC, for the long-term financial security of that person. To learn more, go to cra.gc.ca/rdsp. If you buy and use aids like talking textbooks, job coaching services, and braille note-taker devices so that you can earn more income, receive a grant for research or similar work, or attend school, you may be able to claim these eligible expenses as part of the disability supports deduction. Need a hand filing your income tax and benefit return? If you have a modest income and a simple tax situation, a volunteer from the Community Volunteer Income Tax Program can do your return for you, for free. Use the MyCRA mobile app at cra.gc.ca/mobileapps to find a volunteer tax preparation clinic, or go to cra.gc.ca/volunteer for more information. The legislated deadline for most Canadians to file an income tax and benefit return is April 30. However, since that date is a Sunday in 2017, the CRA will consider your return as filed on time and your payment to be made if the CRA receives your submission or it is postmarked no later than May 1. Self-employed individuals and their spouses or common-law partners have until June 15 to file their return. However, if they have a balance owing to the CRA, that balance is due no later than May 1. Don’t miss the latest tax news or tips. Follow us on Twitter at @CanRevAgency.